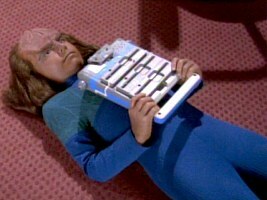 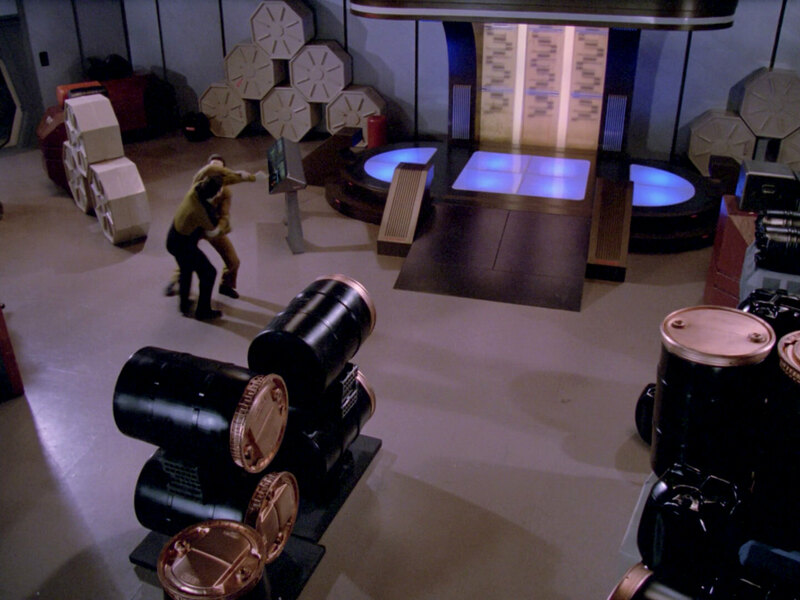 Every Star Trek production requires a large number of props to act as technical devices of Starfleet or of aliens. 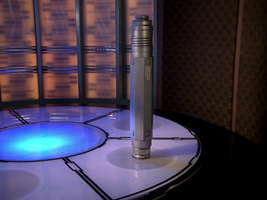 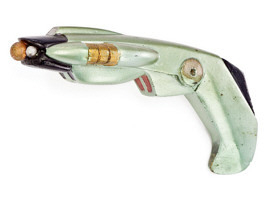 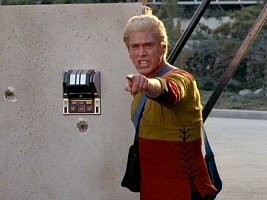 There are custom prop designs for standard phasers, tricorders or communicators. 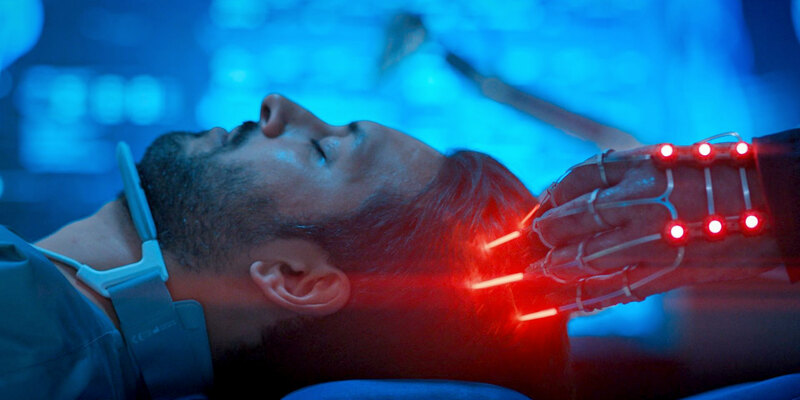 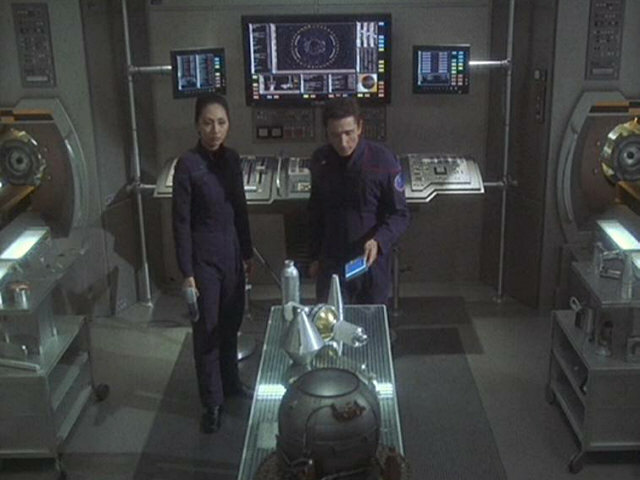 But in most cases there is a need for additional props that either serve a specific purpose in the story or are used as generic futuristic decoration. 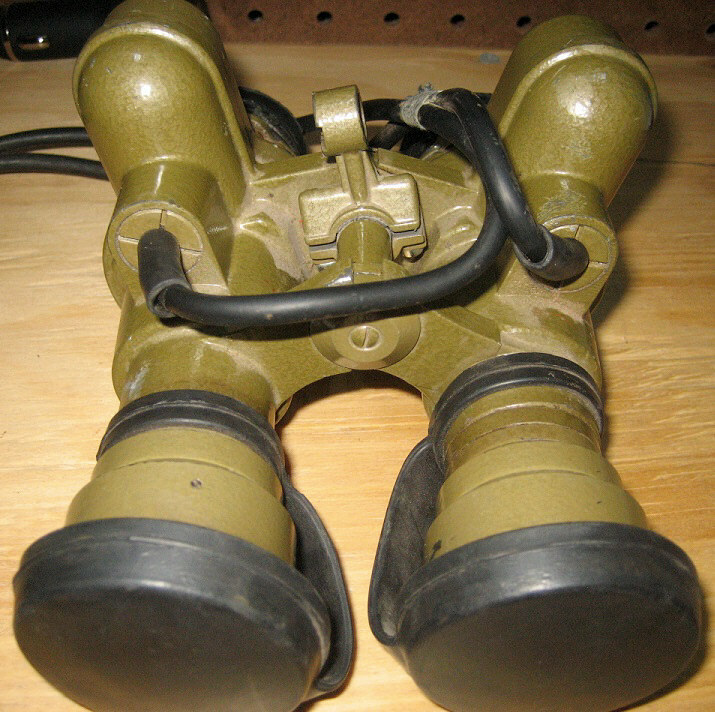 Several of the props that could be seen are actually slightly modified devices of the 20th/21st century. 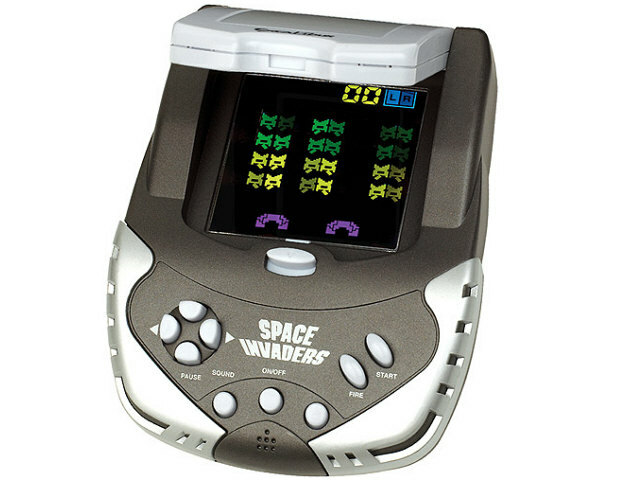 In particular, game consoles have been used repeatedly for handheld scanners. 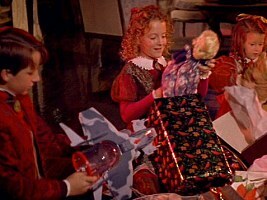 In Picard's Nexus vision, Matthew's Christmas gift is actually a Space Marines EVAC Fighter from the "Aliens" action figure line by Kenner (1992). 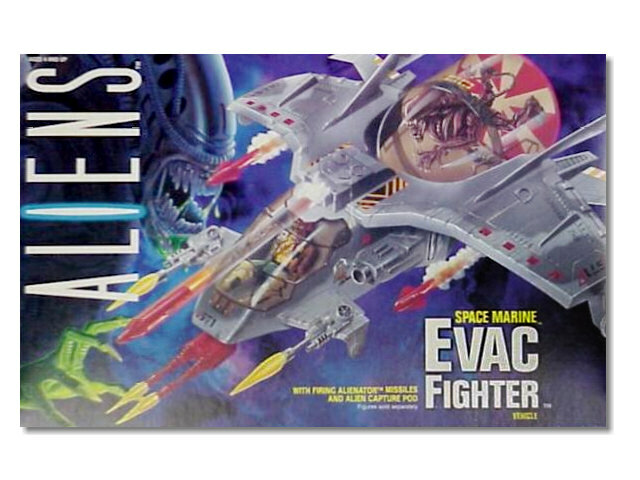 It features firing "Alienator missiles" and a transparent "Alien capture pod" at its aft end. 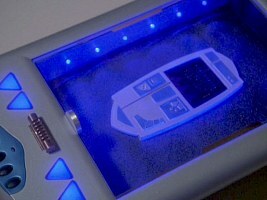 Nothing has been done to disguise the toy's true origin or to make it look like a Trek vessel. 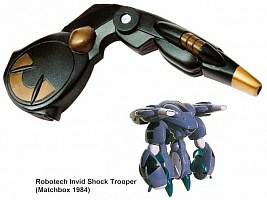 Matthew's Christmas Present in "Generations"
The Robotech Invid Shock Trooper was turned into Quark's pistol in two DS9 episodes and even appeared in ENT: "Acquisition" (though we should expect Ferengi technology to progress in 220 years). 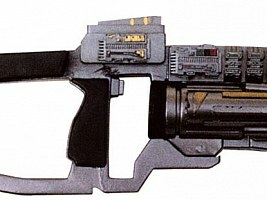 One shoulder cannon of the toy was made into the barrel, a leg became the handle of the Trek weapon. 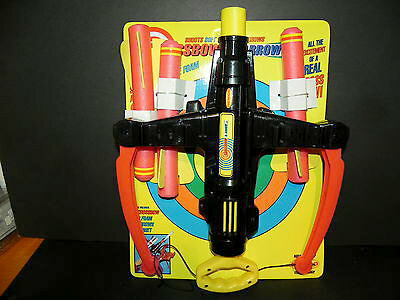 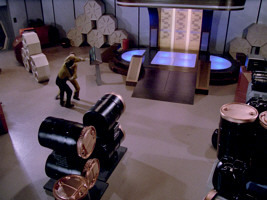 A variant of the prop only uses the cannon, without the disk-shaped handle. 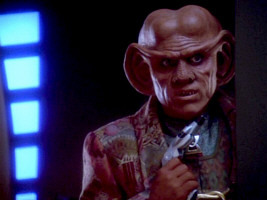 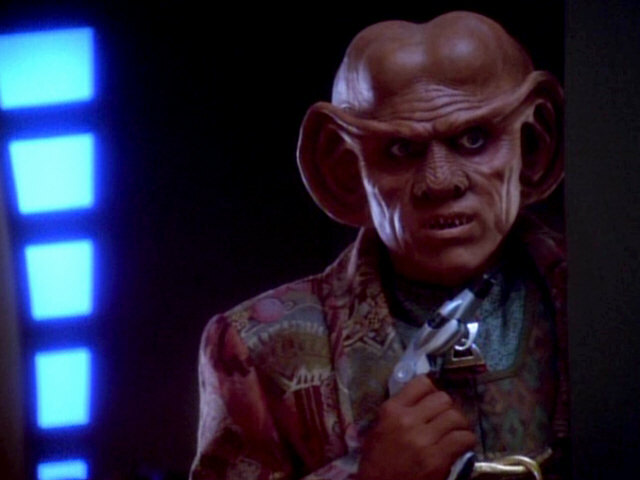 Ferengi pistol in DS9: "The Magnificent Ferengi"
Ferengi pistols in ENT: "Acquisition"
The weapon that appeared in many Star Trek episodes and most notably as the Jem'Hadar rifle was originally a Remco crossbow toy, produced in apparently several different colors around 1990. 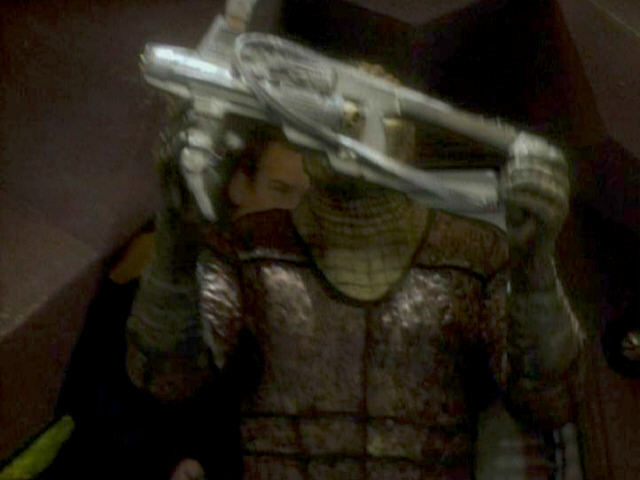 The first version of the weapon in Star Trek (as a Hunter weapon in DS9: "Captive Pursuit") still had the bow part in the form of two spikes on the barrel. 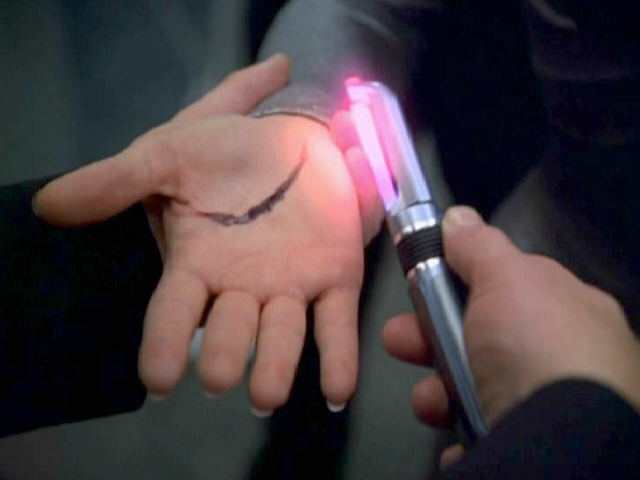 This part was largely removed on later versions of the weapon. 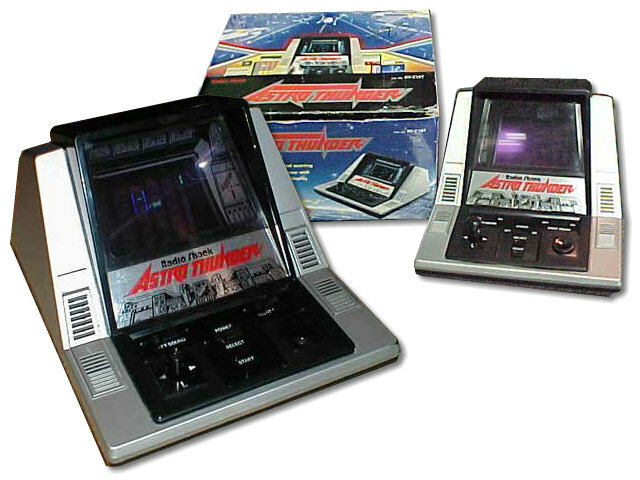 Hunter weapon in DS9: "Captive Pursuit"
Jem'Hadar weapon in DS9: "Rocks and Shoals"
The game console Astro Thunder from Tandy (1986) appears as a comm console in TNG: "Encounter at Farpoint". The same prop appears once again several years later, this time as a door control console on the "Polaric Power Planet" in VOY: "Time and Again". 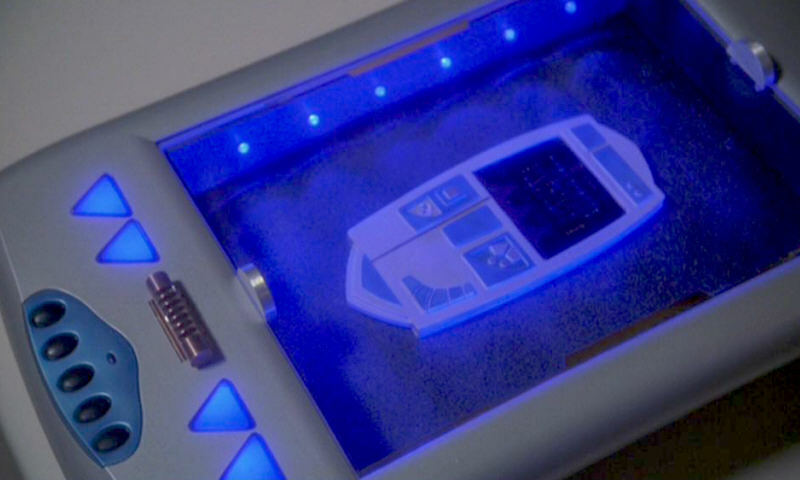 Comm console in TNG: "Encounter at Farpoint"
Door control in VOY: "Time and Again"
We can see an Excalibur Space Invaders console as a scanner in ENT: "Vox Sola". 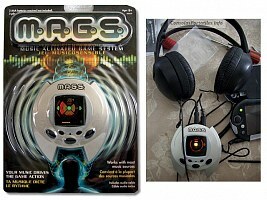 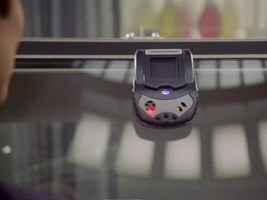 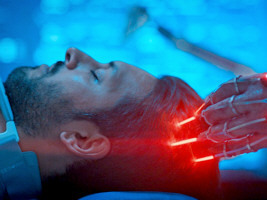 Scanner in ENT: "Vox Sola"
The Hasbro Music Activated Game System (MAGS) appears in two episodes: as the Vulcan bomb in ENT: "The Forge" and as a medical scanner in ENT: "Terra Prime", both times with additional LEDs. 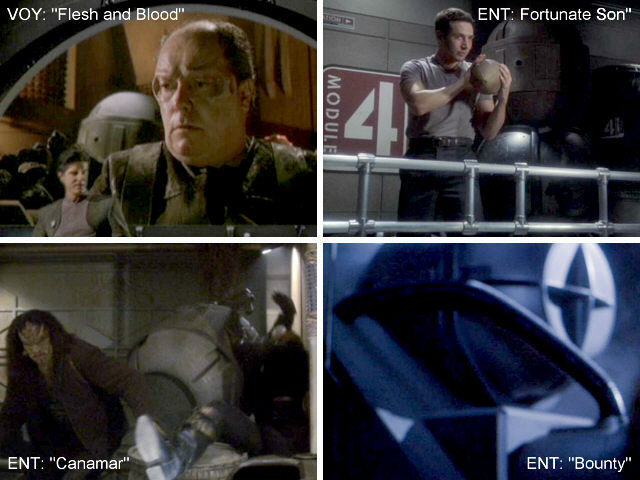 Vulcan bomb in ENT: "The Forge"
Medical Scanner in ENT: "Terra Prime"
A 380-year-old game pyramid manufactured by Bandai frequently shows up in Ten Forward, like in "The Outrageous Okona" and "Ensign Ro". 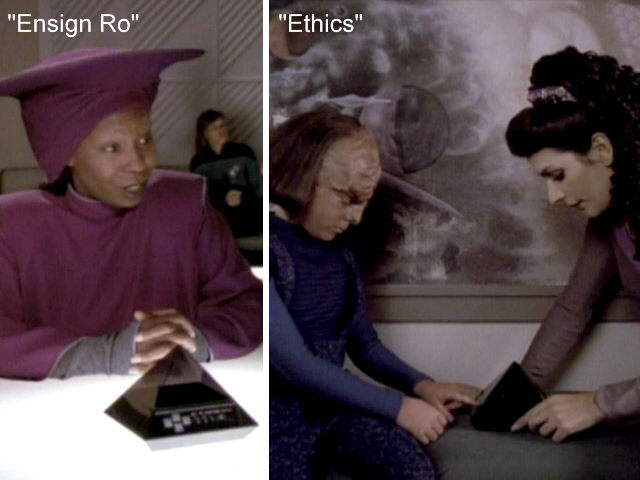 In TNG: "Ethics" we can see how Alexander Rozhenko plays with it, insinuating that in his time the pyramid still serves the same purpose as in the 20th century. 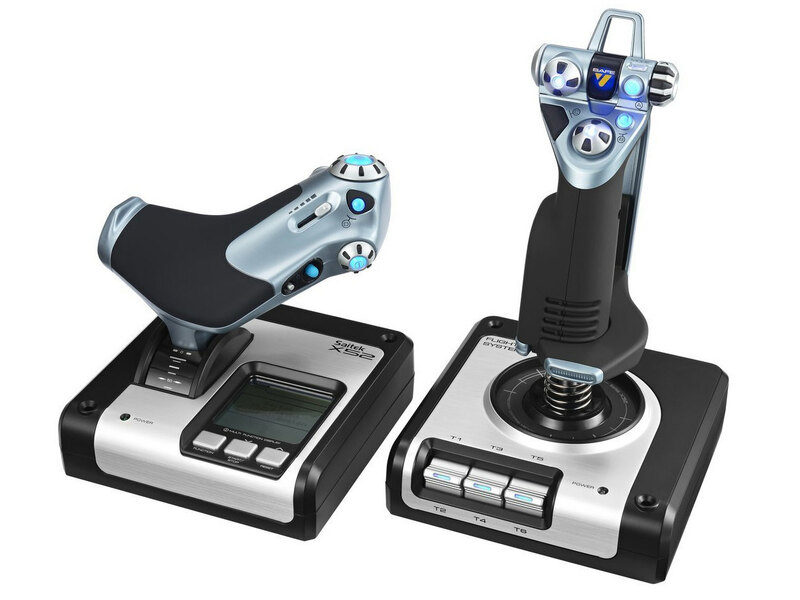 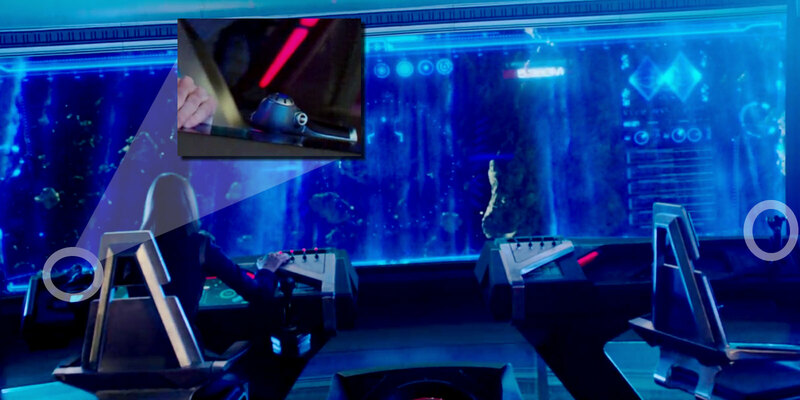 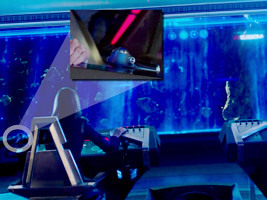 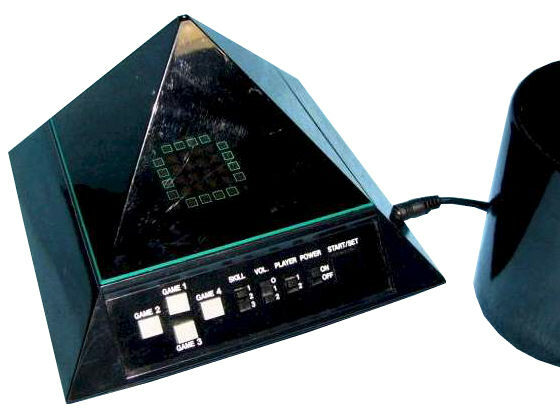 Game pyramid in TNG: "Ethics" and "Ensign Ro"
On the bridge of the USS Shenzhou, the pilot stick as well as the thrust controls are taken from a Logitech G Saitek X52 that was only slightly adapted for this purpose. 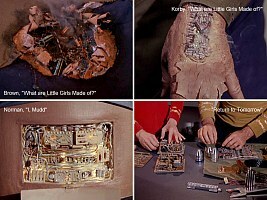 Logitech G Saitek X52 in DIS: "Battle at the Binary Stars"
23rd century electronic (or rather duotronic) circuits in TOS often look quite familiar because they consist of printed circuit boards or test boards along with discrete components like transistors, resistors or capacitors as they existed in the late 1960s. 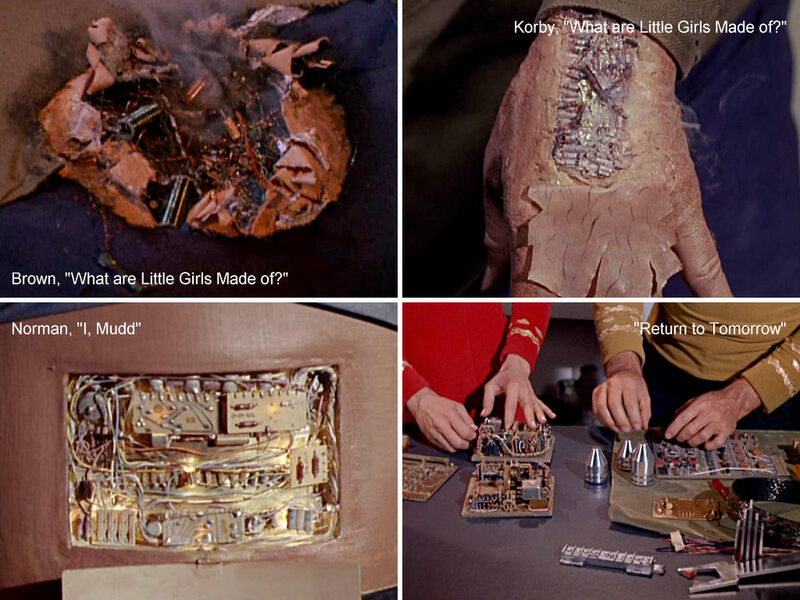 Revised Norman in TOS-R: "I, Mudd"
For the remastered version TOS-R: "I, Mudd" the effect of opening Norman's stomach lid as well as the circuitry were revised. 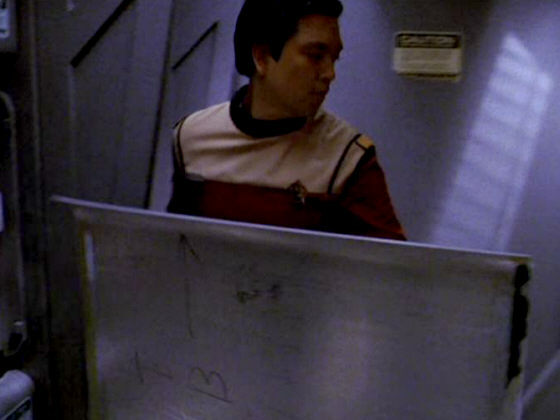 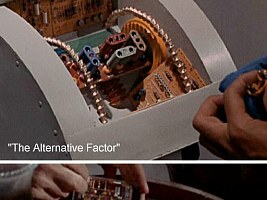 In "Star Trek: The Undiscovered Country" we can glimpse pencil markings on the inside of an access panel. 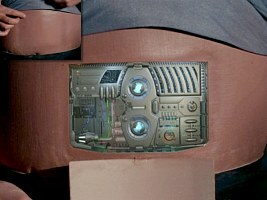 Also, the technology inside looks like directly taken from late 20th century computers. Wall panel with scribble in "Star Trek VI"
Behind the panel in "Star Trek VI"
We know that the Pakled steal equipment from various civilizations and that they do not really know how to get everything working. 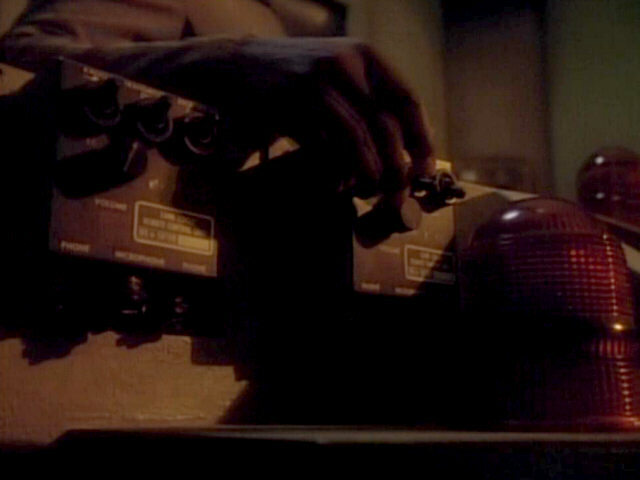 Maybe it is the simplicity of the device that makes a switchboard or a radio beacon (EPIRB) from Earth's mid-20th century useful to them. 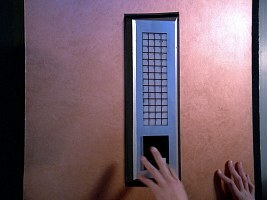 Pakled switchboard in TNG: "Samaritan Snare"
Pakled radio beacon in TNG: "Samaritan Snare"
As already mentioned, Alexander likes to play with a 380-year-old game pyramid. 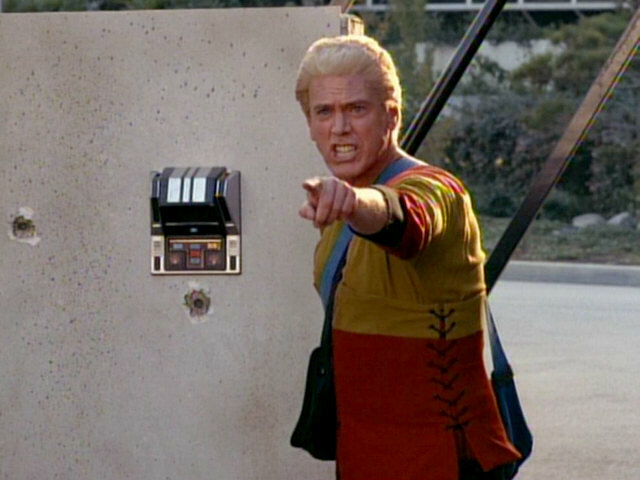 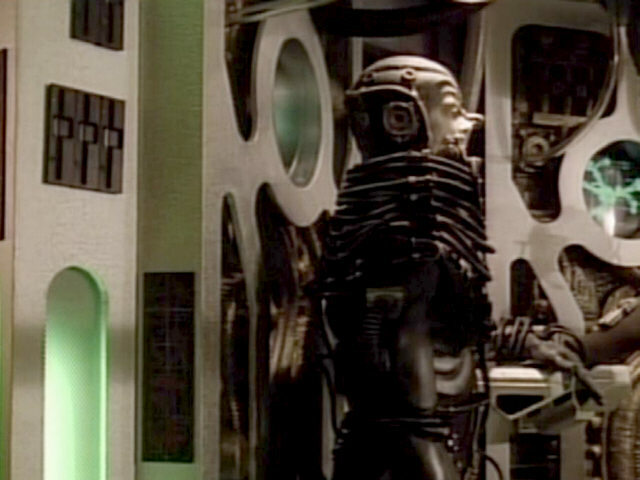 He seems to have an odd predilection for Earth's late 20th century, considering that in TNG: "A Fistful of Datas" we can see him with the front covers of 5.25-inch floppy drives. The Borg, however, are fans of this ancient technology as well. 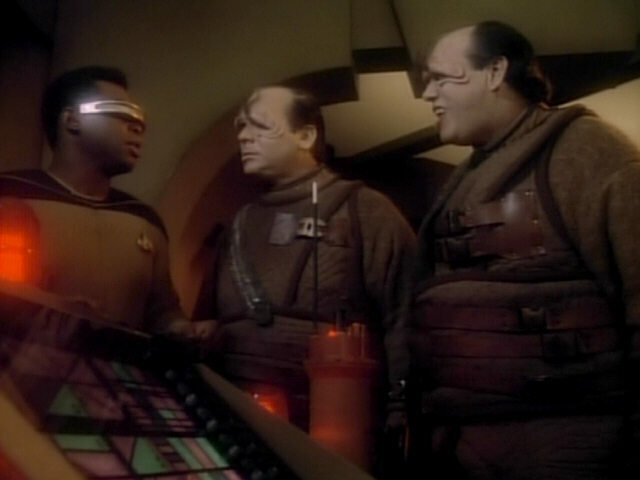 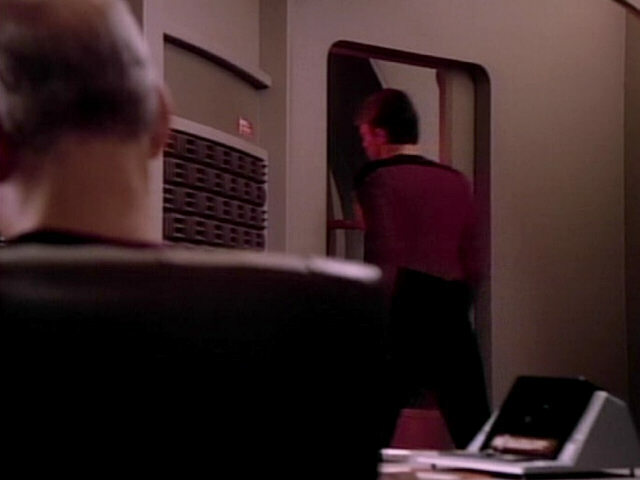 Borg floppy disk drives in TNG: "Q Who"
Stasis container in DS9: "Children of Time"
In TNG: "Peak Performance" we can see an access panel made of a 20th century QWERTY keyboard that is mounted upright. 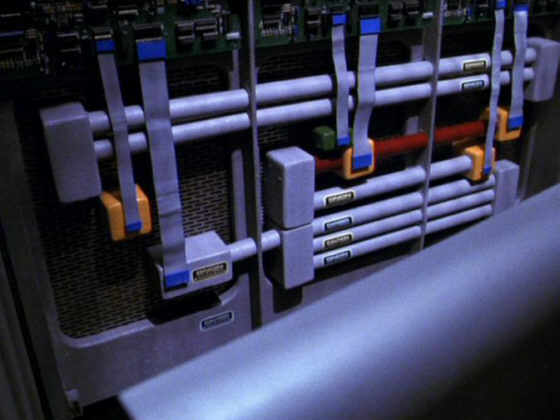 Keyboard in TNG: "Peak Performance"
The base of the Voyager standard desktop monitor was built from an APC POW6 desktop power manager, "the ultimate in power control and cord management plus guaranteed surge suppression for life". 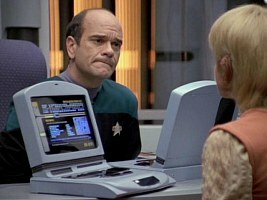 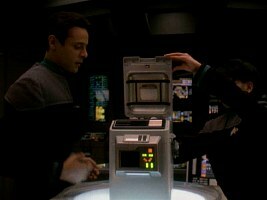 Desktop monitor in VOY: "Ex Post Facto"
In ENT: "Stigma" we can see a Vulcan scanner prop which really is a present-day (flatbed) scanner. Someone said they are very advanced? 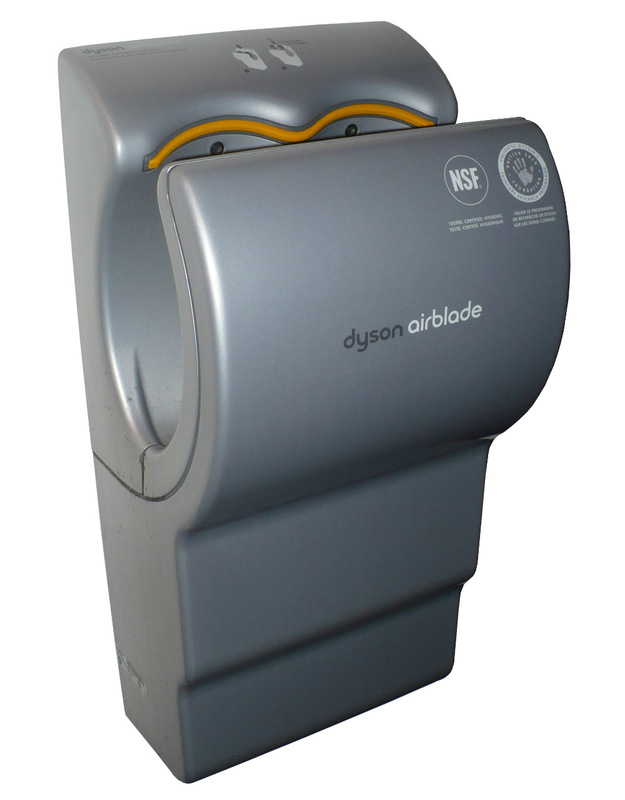 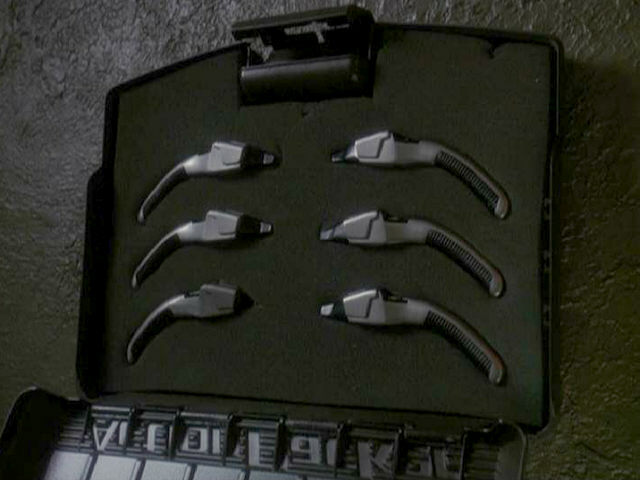 Vulcan scanner in ENT: "Stigma"
In the sickbay of the alternate universe Enterprise we can see hand dryers of the real-world type Airblade by Dyson (which by the 23rd century may not be so annoyingly noisy any more). 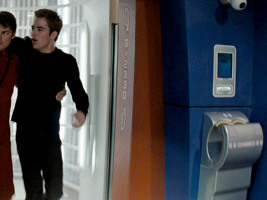 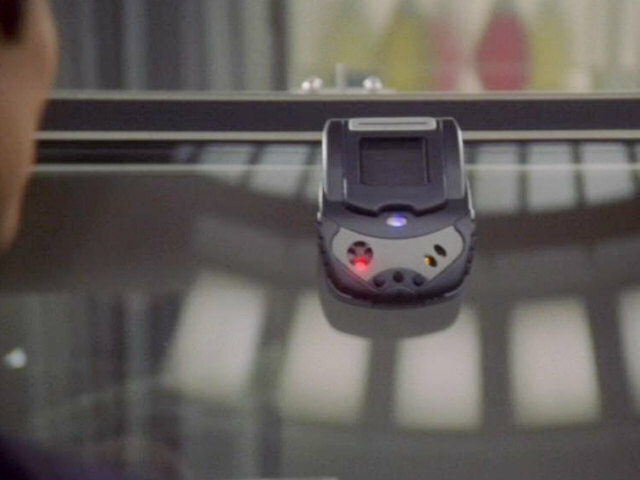 Dyson Airblade in "Star Trek (2009)"
The phaser locker in DS9: "Hard Time" tries hard to conceal its banal origin in the 20th century, as "Action Packer" box by Rubbermaid (look at the reversed letters in the lid). Phaser locker in DS9: "Hard Time"
The EPS regulators on DS9 appear in more than ten other episodes, most often as freight containers. 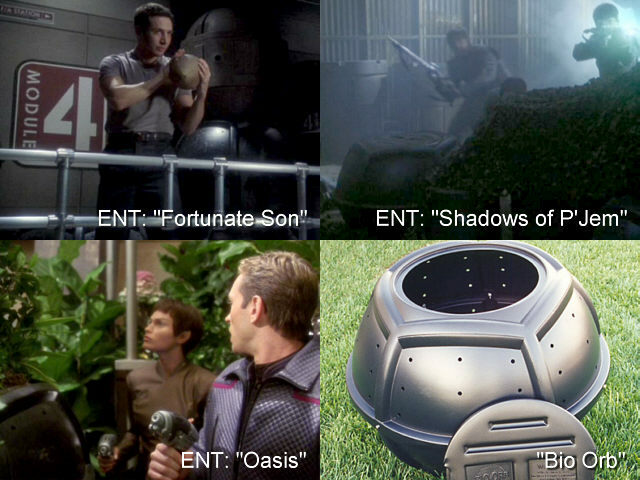 It is actually a composter named "Bio Orb". 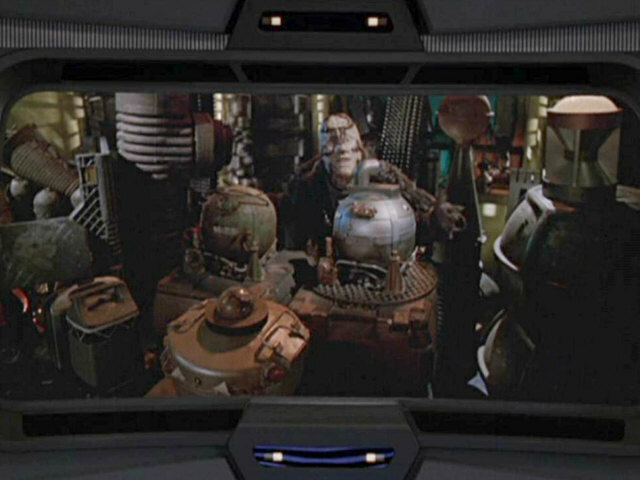 EPS regulator in DS9: "In the Cards"
The self-replicating mine from DS9: "A Call to Arms" shows up in at least six more episodes, each time as cargo containers. 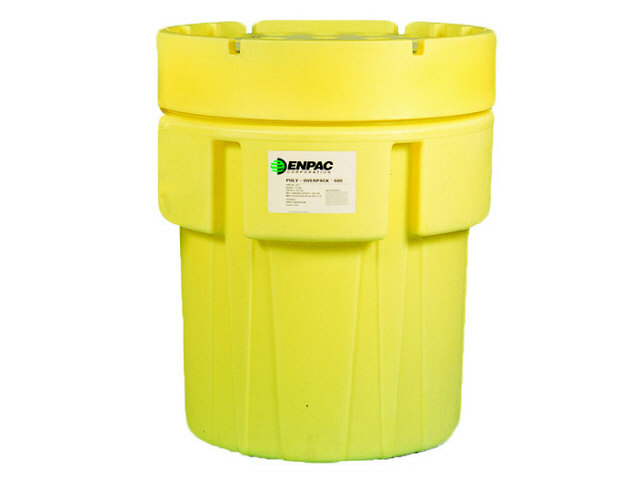 This prop too is actually a composter. 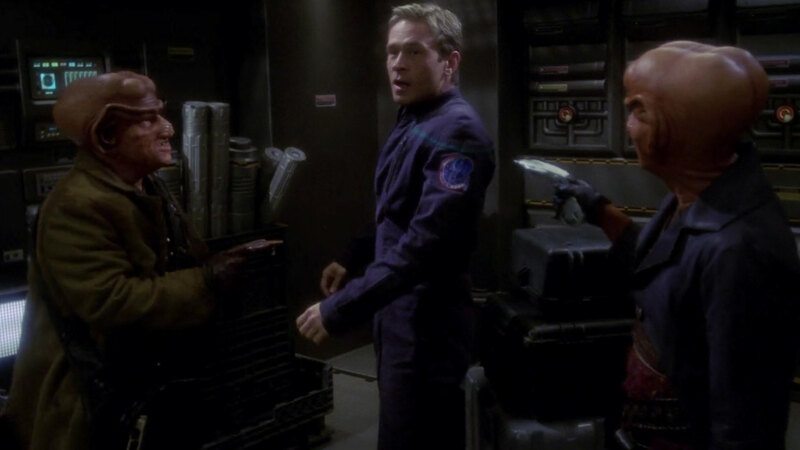 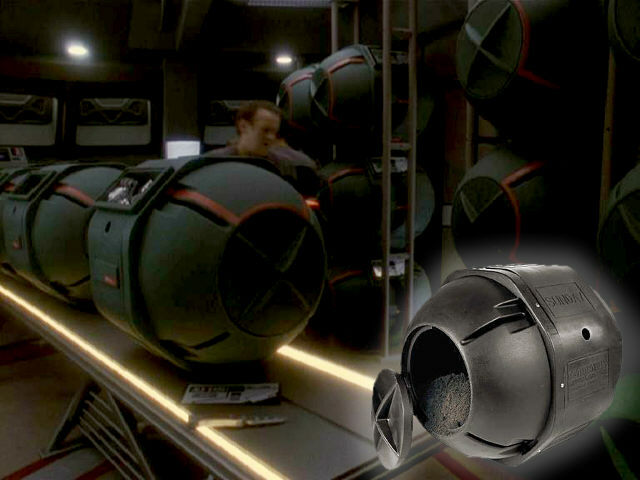 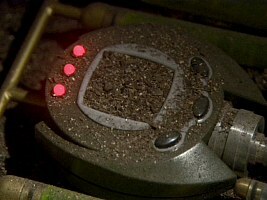 Self-replicating composter in DS9: "Call to Arms"
Cylinders with an octagonal cross-section could be seem in many episodes of Star Trek, most notably as Starfleet sample containers and transporter test cylinders. 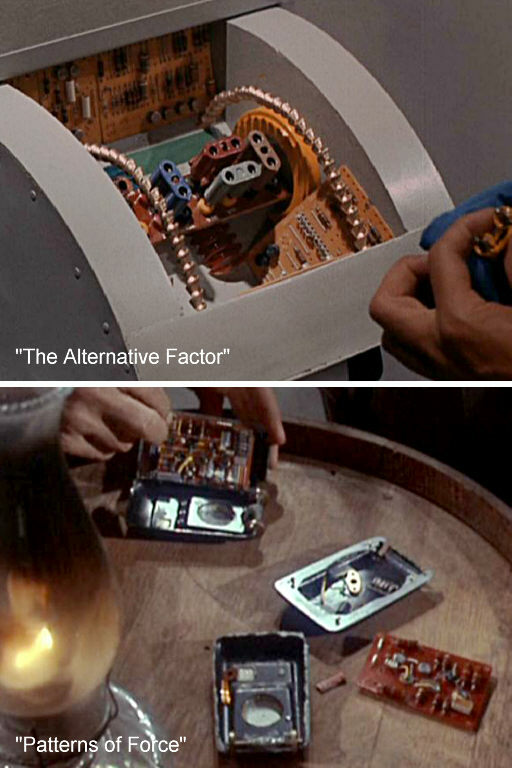 Overall, these devices appeared in at least 40 episodes or movies! 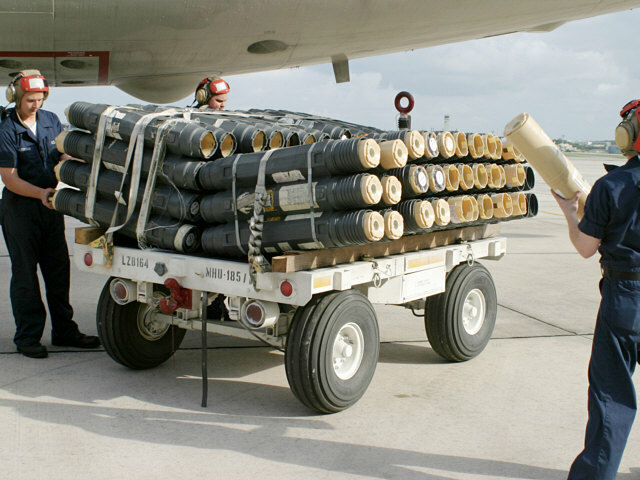 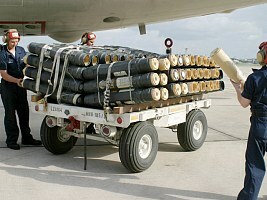 The prop was made from containers for sonobuoys of the U.S. Navy. 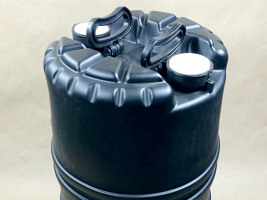 A separate article shows all appearances of these containers: Re-Uses of Sonobuoy Containers. 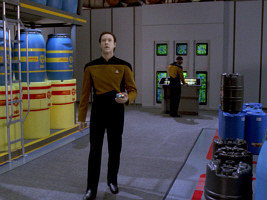 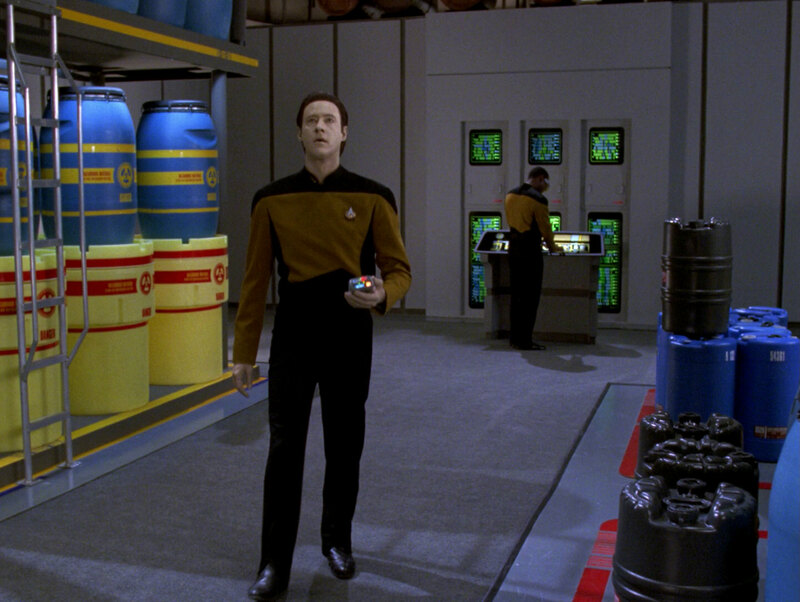 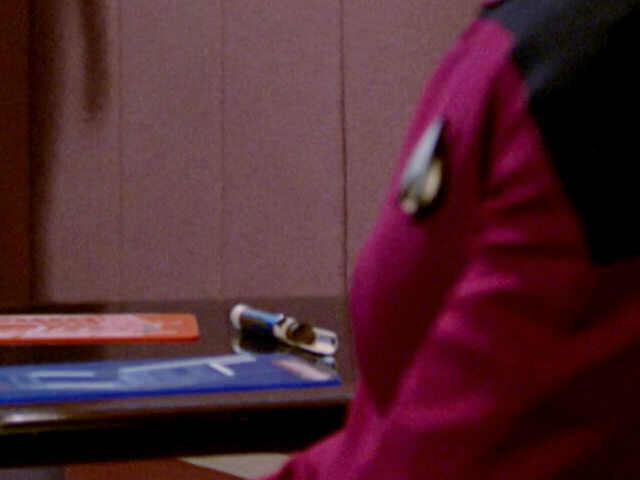 Test cylinder in TNG: "The Ensigns of Command"
We can see the same type of a small spherical container in very different times, locations and functions. 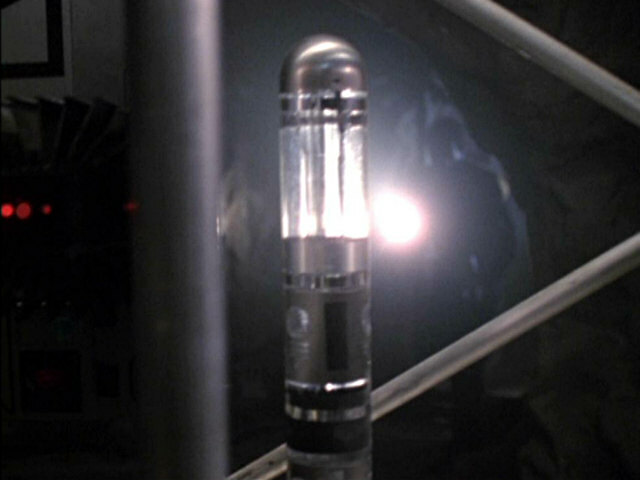 In real life this device is called a LOX (liquid oxygen) bottle or LOX converter, as it is used especially in older military aircraft. 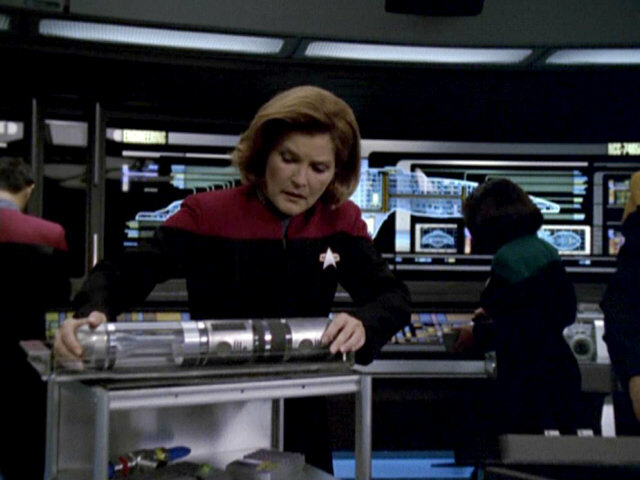 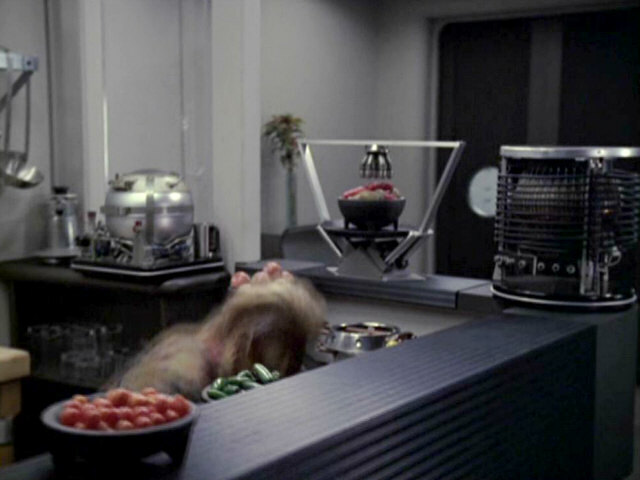 Cooking sphere in VOY: "The Voyager Conspiracy"
Alien device in VOY: "Alice"
Container in ENT: "Sleeping Dogs"
Various containers that are used in the pharmaceutical industry appear in Star Trek episodes, especially in the cargo bay of the Enterprise-D. 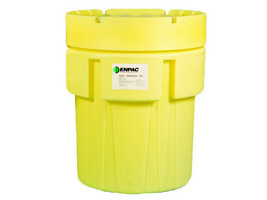 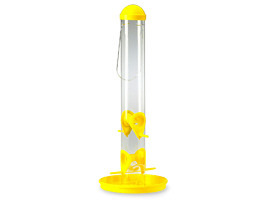 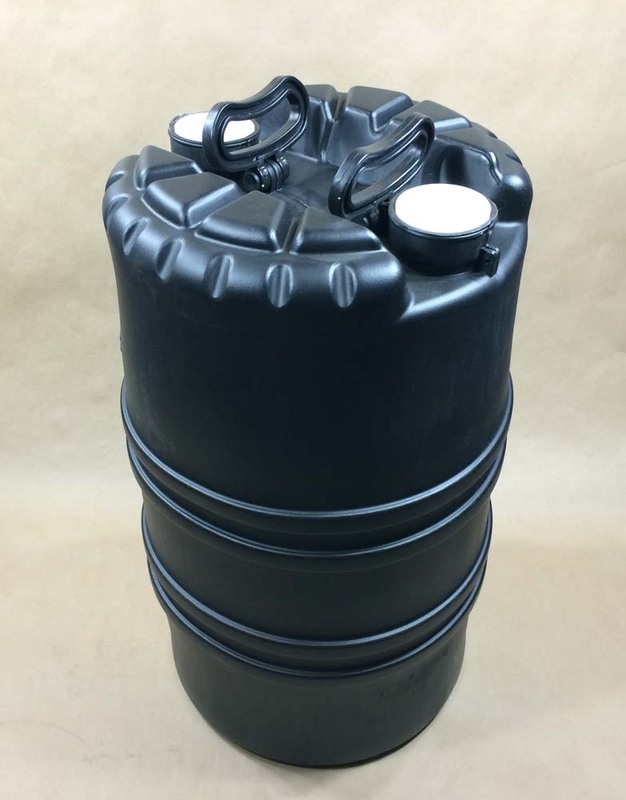 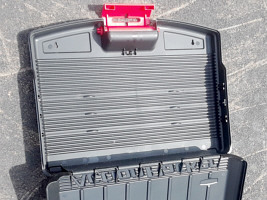 The yellow "overpack" has a screw top and is used to store spill containment supplies. 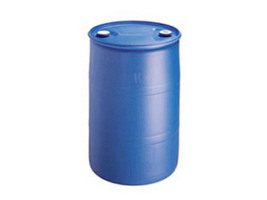 There are also two kinds of blue plastic drums, one with a black top and one with two bungs on the top. 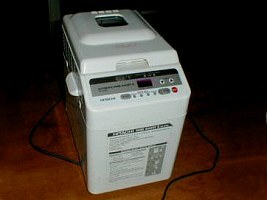 A smaller 15 gal gray plastic drum can be seen as well. 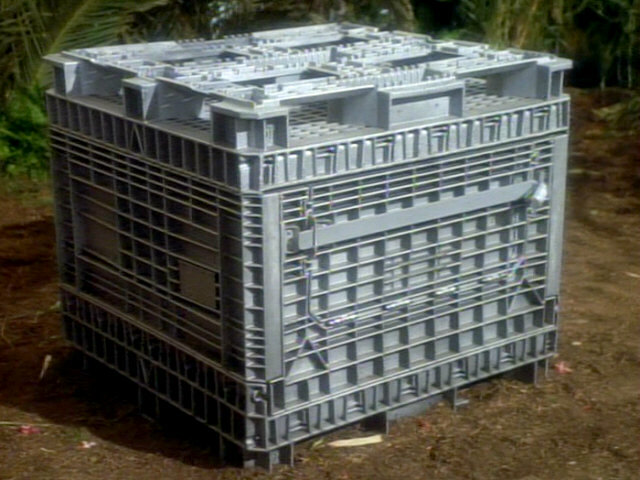 A box for the seeds of evil? 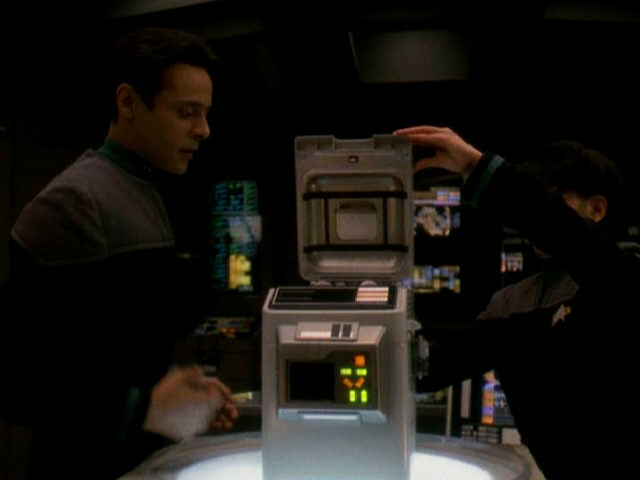 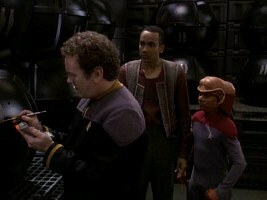 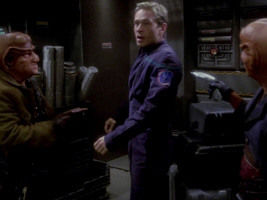 The "punishment box" in DS9: "Paradise" is actually a bulk box that can be used to store various equipment, or as a waste paper container. 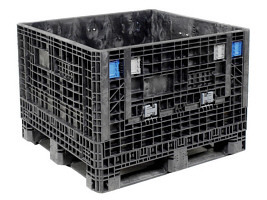 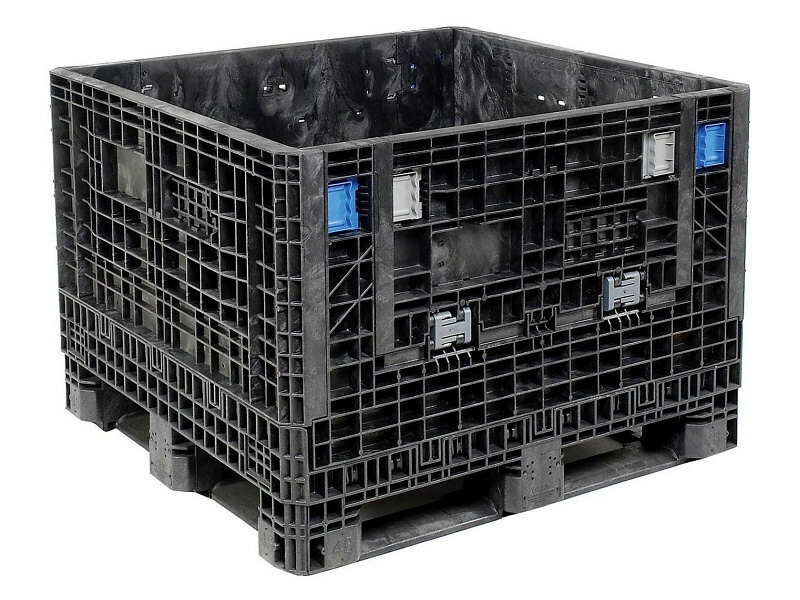 Very similar boxes are used on farms as seed containers. 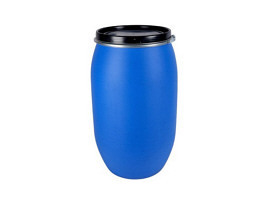 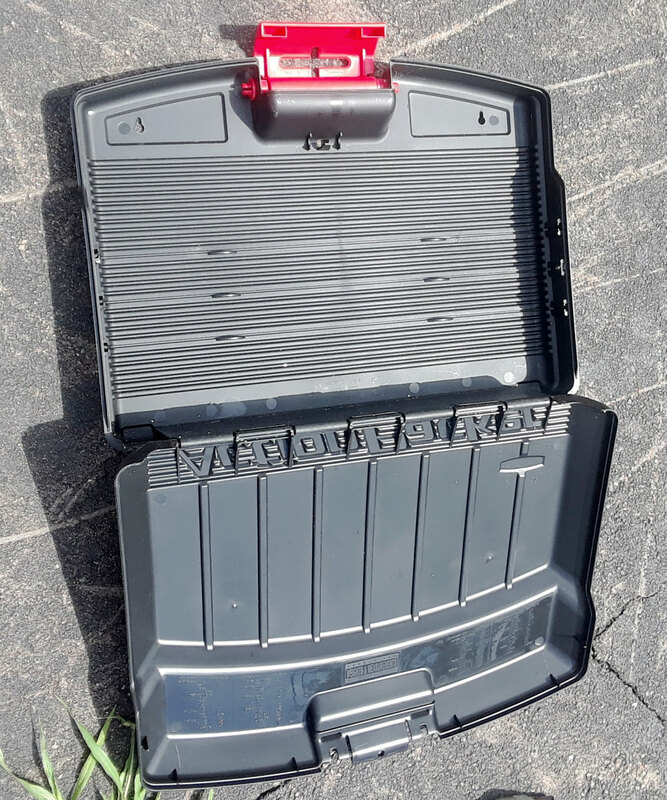 It seems that a bottom part was flipped and used instead of a regular lid. 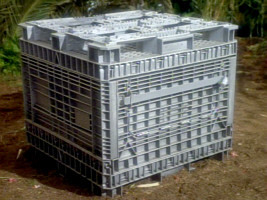 The box was most likely dark gray and was painted silver for the episode. 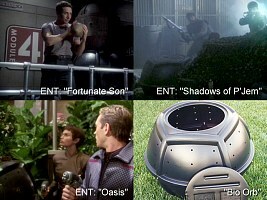 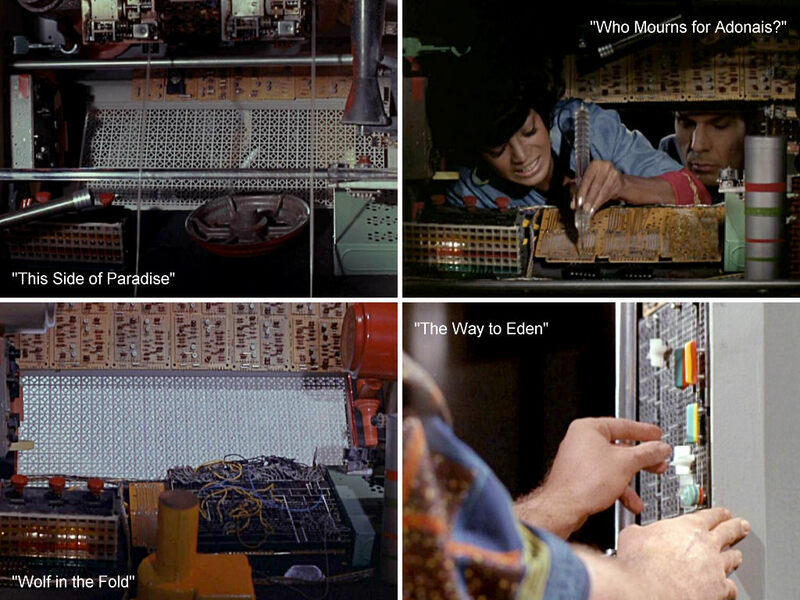 "Punishment box" in DS9: "Paradise"
Art coordinator Penny Juday mentioned in an interview that the tubes the Borg install on the Enterprise-E deflector dish in "Star Trek: First Contact" were built from bird feeders. The tubes reappear as Vaadwaur devices in VOY: "Dragon's Teeth" and on Voyager in VOY: "Nightingale". 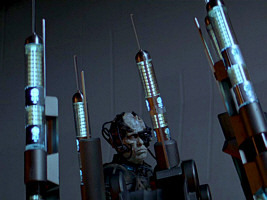 Borg tubes in "Star Trek: First Contact"
Vaadwaur tubes in VOY: "Dragon's Teeth"
Starfleet tubes in VOY: "Nightingale"
A device that can be seen on Picard's desk in TNG: "Coming of Age" is a 20th century desoldering pump. 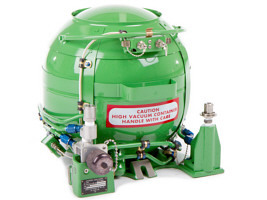 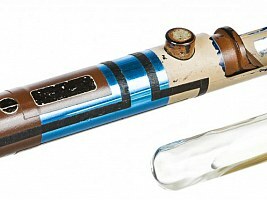 Propworx calls the prop a "medical injector". 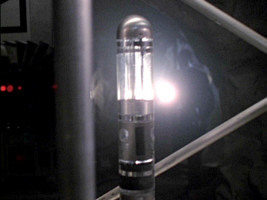 Device on Picard's desk in TNG: "Coming of Age"
The prop, described as "medical injector"
The dermal regenerator in VOY: "Revulsion" must be handled with special care, otherwise it could accomplish just the opposite of a healing effect. The prop is almost definitely a twin-bladed asparagus peeler. 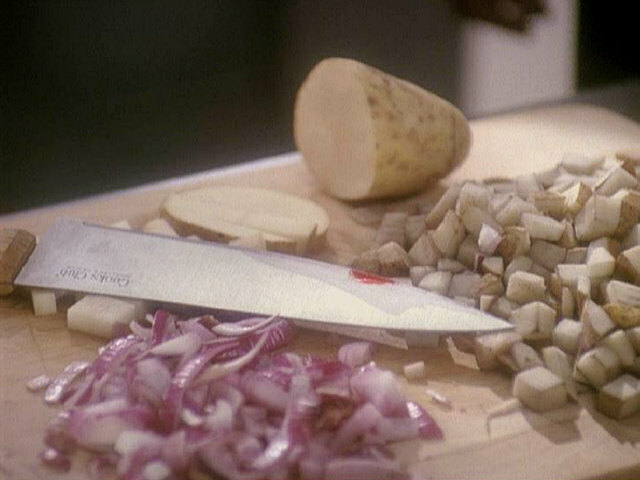 Dermal regenerator in VOY: "Revulsion"
Joseph Sisko's knife from DS9: "Homefront" is actually from a late 20th century "Cooks Club" knife set. 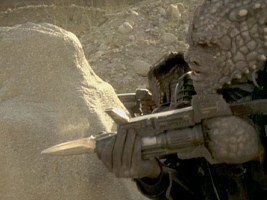 Klingons are still the Soviets of space! 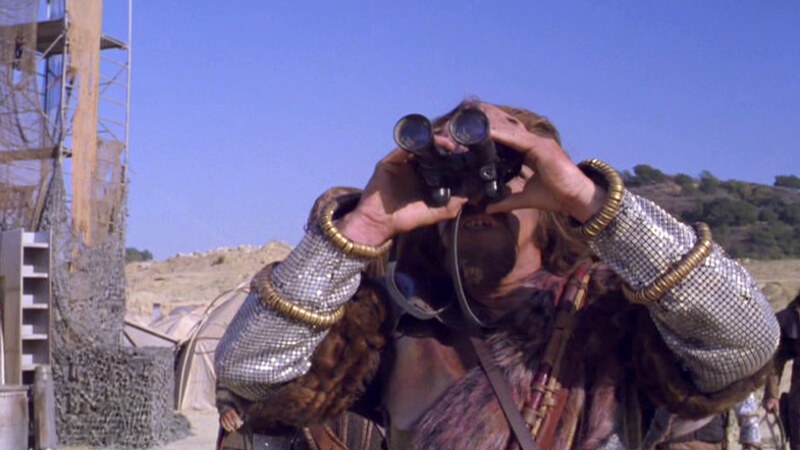 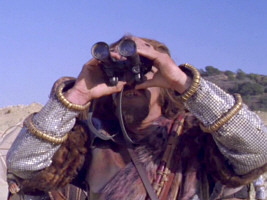 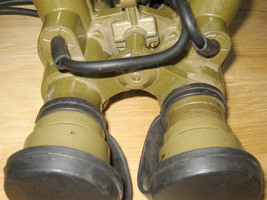 The Klingon leader in ENT: "Marauders" carries binoculars made from an old Soviet night vision device (PNV-57E), repainted and with the helmet mount and battery pack removed. Klingon binoculars in ENT: "Marauders"
The strap used to constrain Voq-Tyler's head during the surgical procedure in DIS: "Vaulting Ambition" is a real-life product. 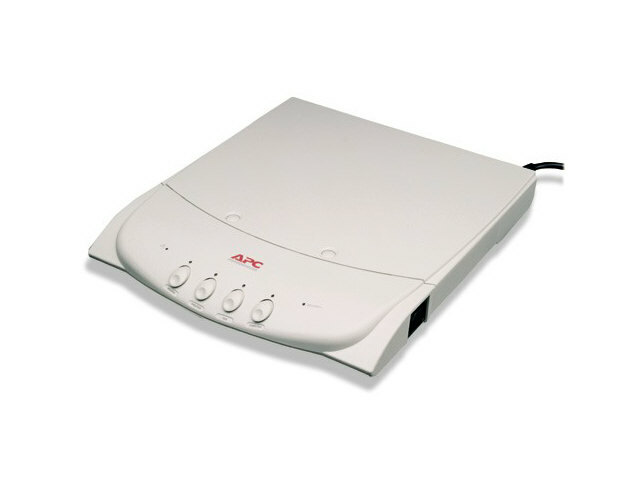 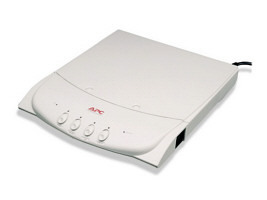 It complies with European standards, as indicated by the CE (Conformité Européene) sign. 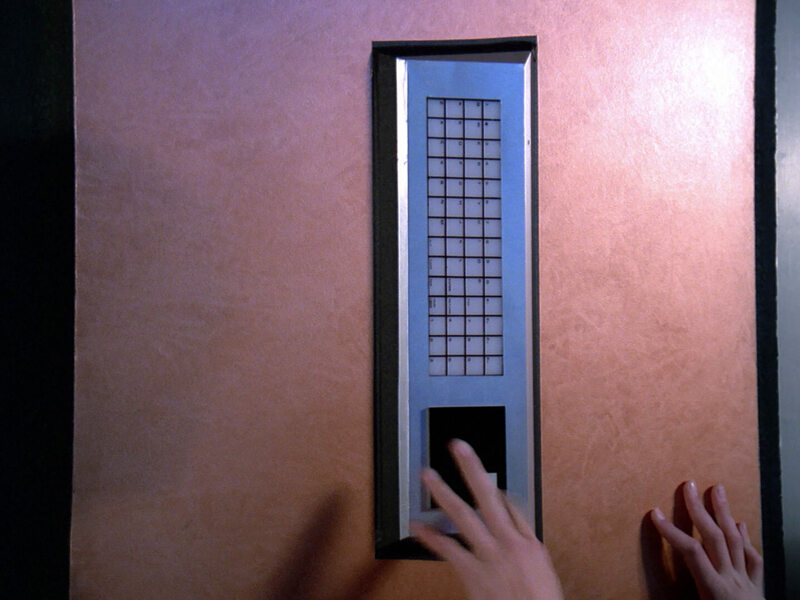 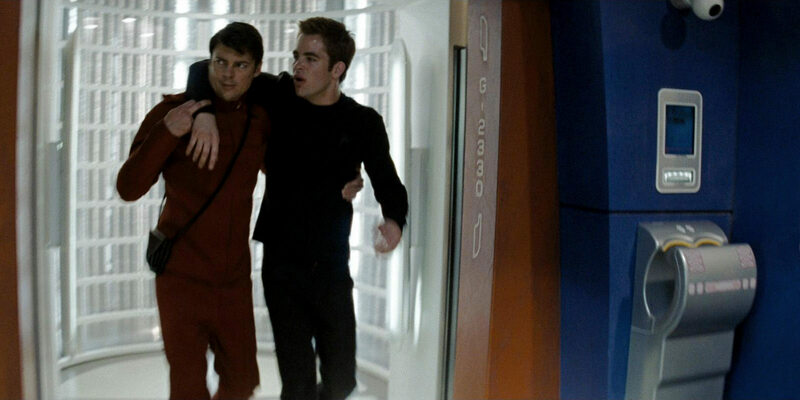 Strap with CE sign in DIS: "Vaulting Ambition"
Some screen caps from TrekCore and Trekmovie.com. 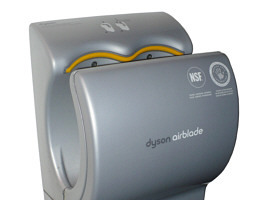 The Dyson Airblade was discovered by Marçal, the Logitech Saitek flight controller by Marcus G. Kulp, the crossbow by Nathan Prosper, the sonobuoy by Josh Wilder, the power manager by Mo (see also Trekprops.de), the binoculars by Alexej Segeda and the various plastic drums by Steve Aichele. Thanks to satre and Lee for their contributions!